Earlscourt BBQ - local and thoughtfully-sourced slow food, quickly. We serve local and thoughtfully-sourced slow food, quickly. Earlscourt BBQ brings thoughtfully-sourced, slow-cooked food to Corso Italia, in the style of Southern-style barbecue. We focus on local, seasonal, ethically-sourced ingredients and work with local farmers. Our menu highlights what’s in-season. For example, our daily vegetable and local ingredients in our featured dessert. 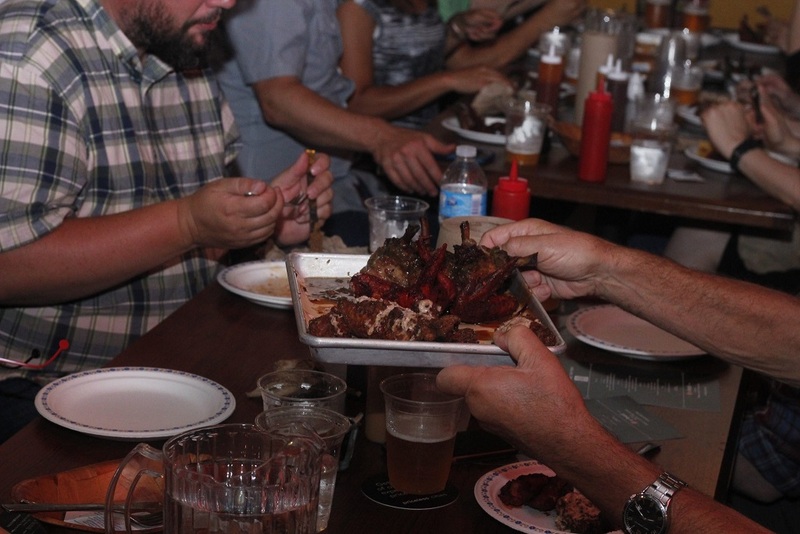 At Earlscourt BBQ, we believe that happy animals taste better. Equally, our beer, wine and cocktails lists are carefully curated. Most of our beers come from Ontario, with a few imports that we enjoy a lot, and a small list of beers we refer to as “Beer for your dad.” Our wine comes from Prince Edward County (Ontario). Last call for the bar: One hour after kitchen closes, or midnight if drinkers stay. Get on our VIP list to find out about our special events such as pig roasts, BBQ Classes, competitions and more.